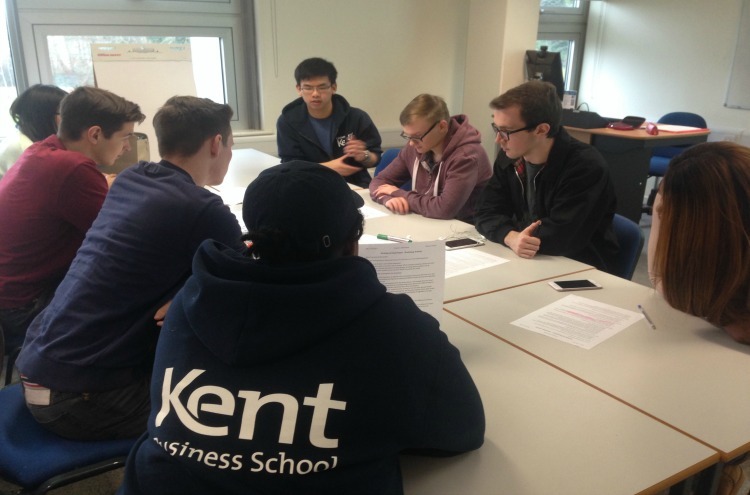 Building on the accomplishments of the last Academic Skills Development Week, the Kent Business School Student Success Team worked with first year Medway students to support the development of their academic study skills, important competences that underpin academic ability. A series of workshops ran every day throughout the week on a variety of topics, including Learning from Feedback, Writing in Exams and Planning Effective Revision. In the Learning from Feedback sessions, attendees were provided with key tips on how to avoid losing marks from repeated minor errors and in the Writing in Exams workshops, students focused on the very particular environment of the exam room and how to write a successful exam paper. The benefits of attending these sessions is clear, with students who attended 80%+ of events in the Autumn Term achieving better marks by the end of the term (on average more than 10% higher than those who did not attend). Students also enjoyed a session with KBS Alumni who gave up their time to talk about their experiences and lessons learned during their time at Kent Business School and during their placement years. The workshops were supported by Peer Mentors and Ambassadors; experienced students who were able to share their skills and knowledge with the first-years.